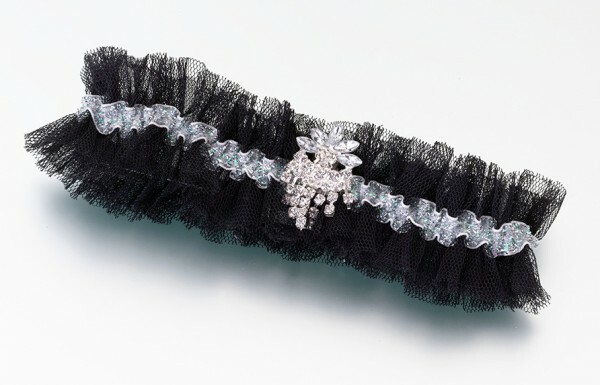 This fun garter is adorned with a sparkling rhinestone ornament and silvery elastic. It is made of black tulle for a classy look. One size fits most. Also available in aqua, blush and hot pink.